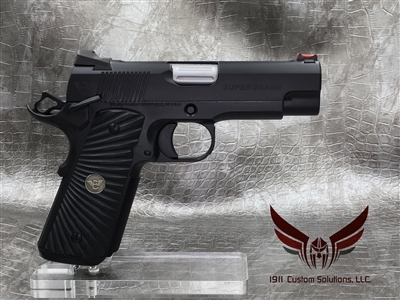 Absolute fit and function are continuing trademarks of the Supergrade models. 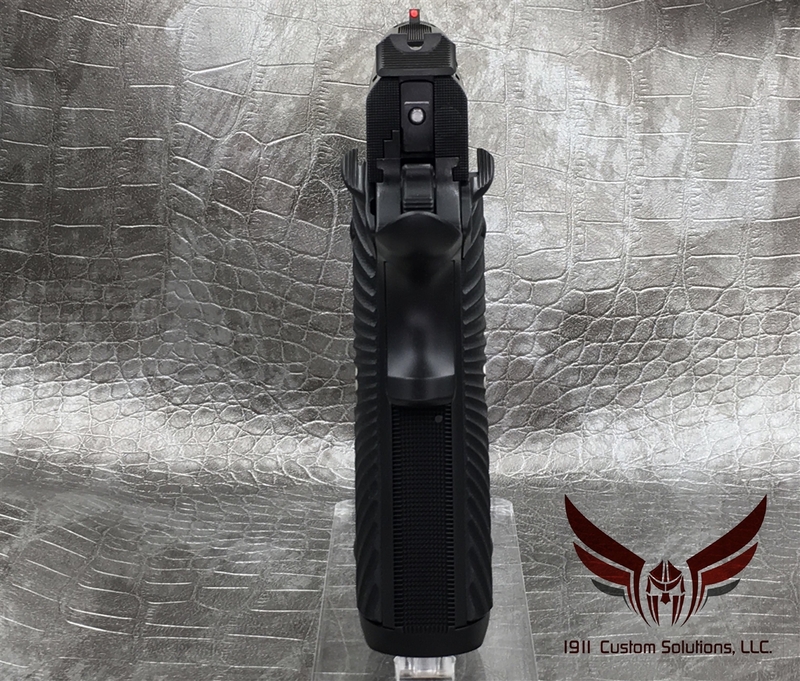 The Tactical Supergrade Professional offering the discriminating individual the best of both worlds, a compact slide with a full-length frame. 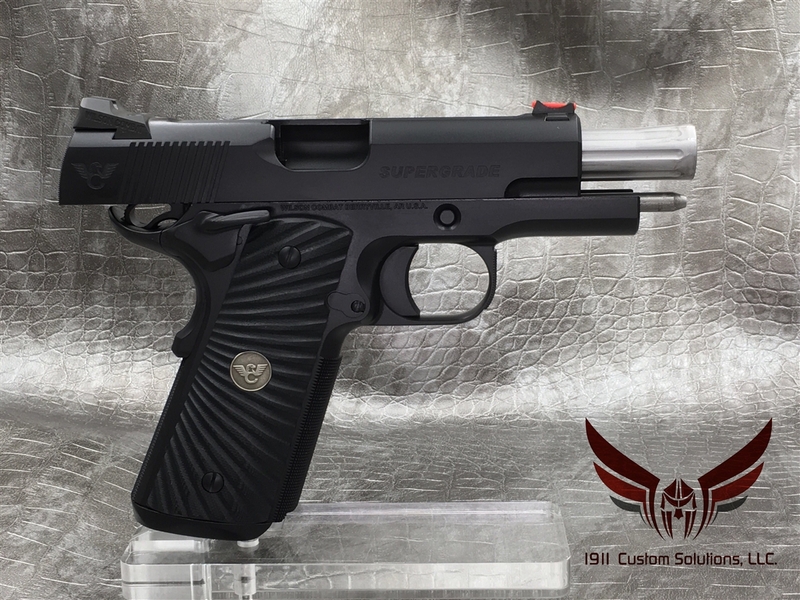 Consistent with the rest of the Supergrade family, the Tactical Supergrade Professional is handcrafted entirely with our fully machined Bullet Proof® parts. 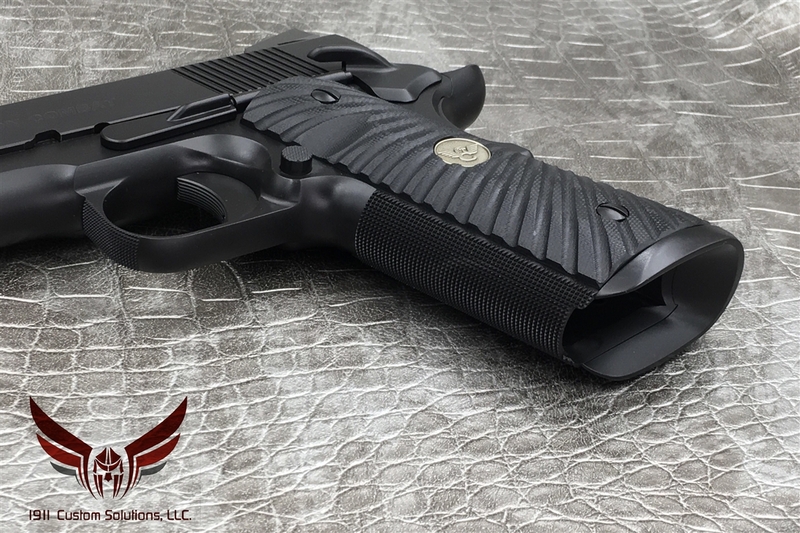 We have combined all the right features, experience and craftsmanship to make the Tactical Supergrade Professional the ultimate carry pistol. 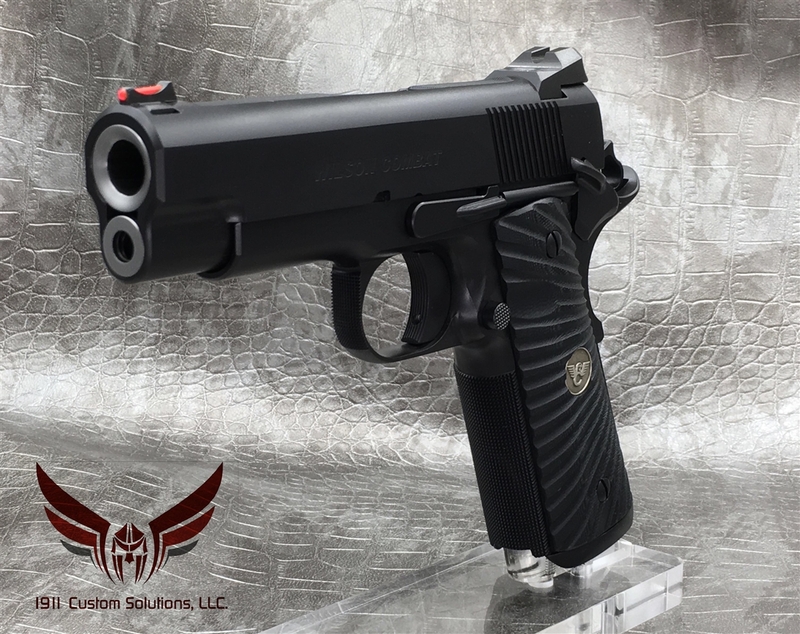 This pistol comes with a fluted chamber and barrel and Integrated one piece magwell. 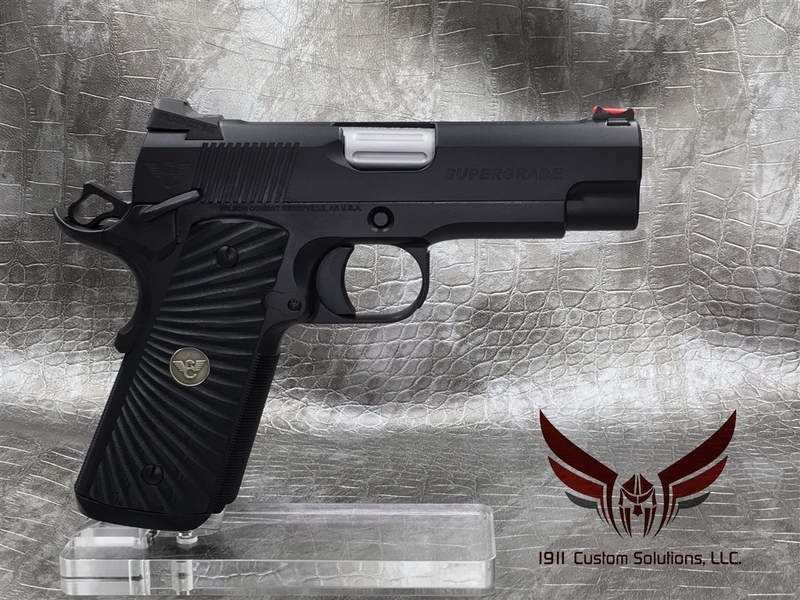 This is a full custom Tactical Supergrade built to our specifications. 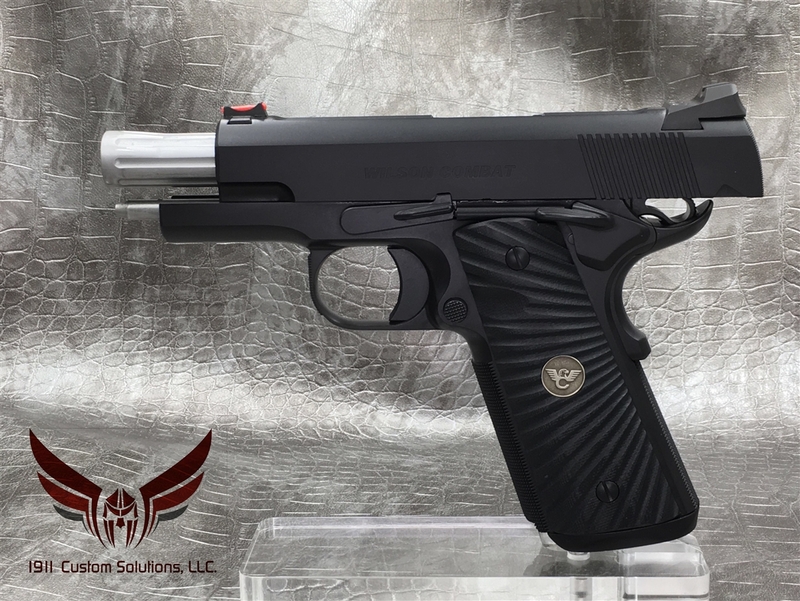 Current wait time to commission and build a pistol of this quality is 3 1/2+ year wait to receive one. 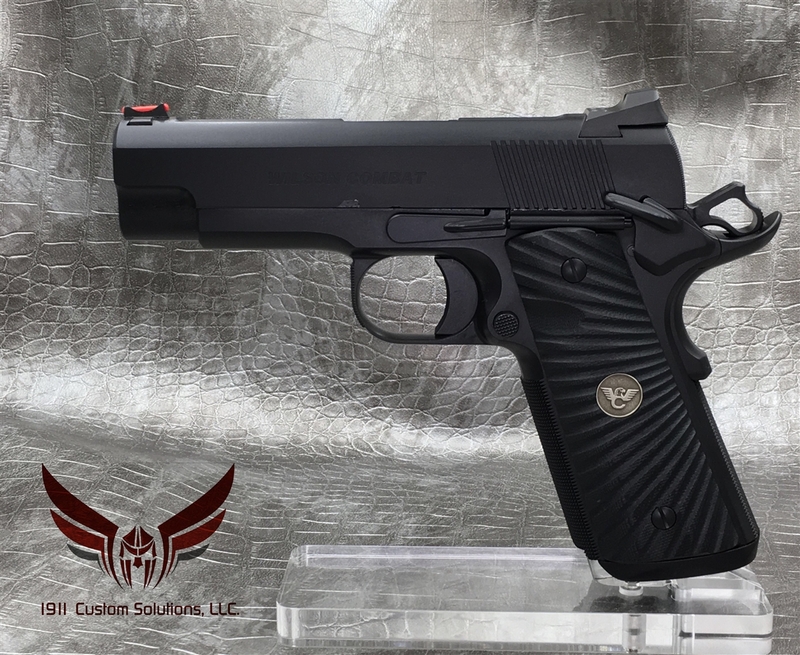 Ships with 6 Wilson Combat 500-ETM magazines. 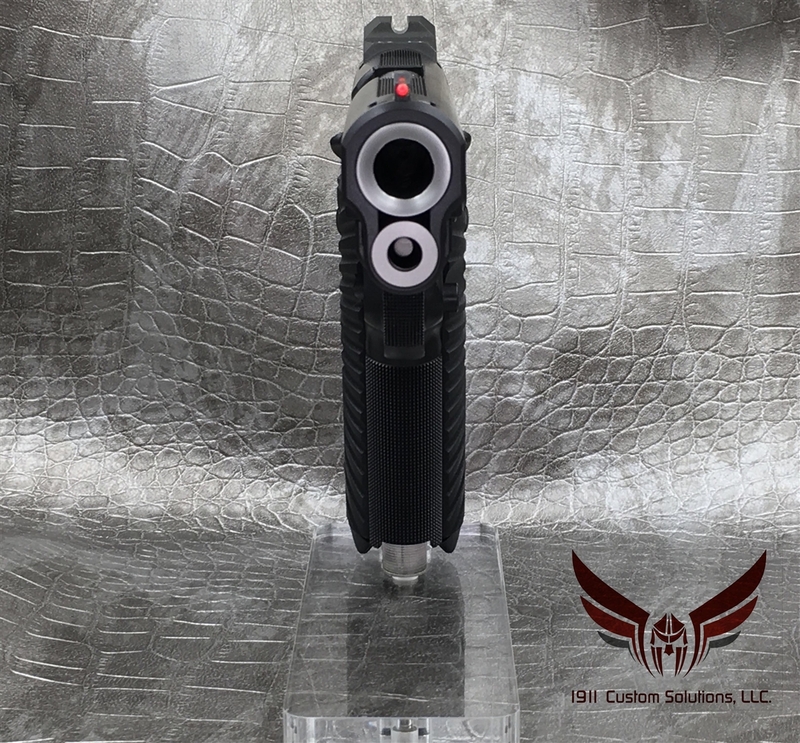 Accuracy Guarantee of 1.5" at 25 yards. 2.45 pounds empty.